I have compiled some great ideas for you to turn your house into a beautiful home whatever style you prefer. I have casual, funky, elegant, formal and even Gothic inspired home decor ideas that you are sure to enjoy so let's have a look at them. Along the top menu you'll see headings for things such as clocks and throw pillows which really help you to add personality to your home. 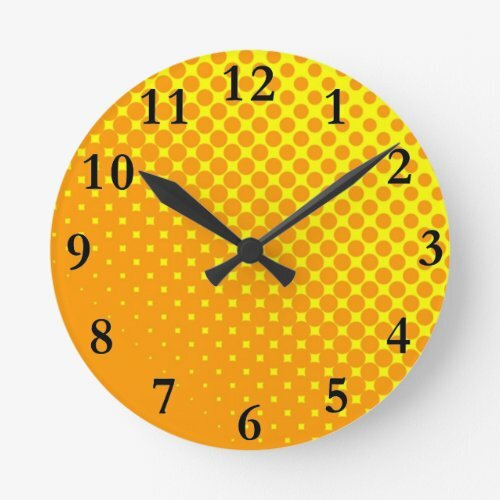 Why Not Hang a Polka Dot Clock on Your Wall? 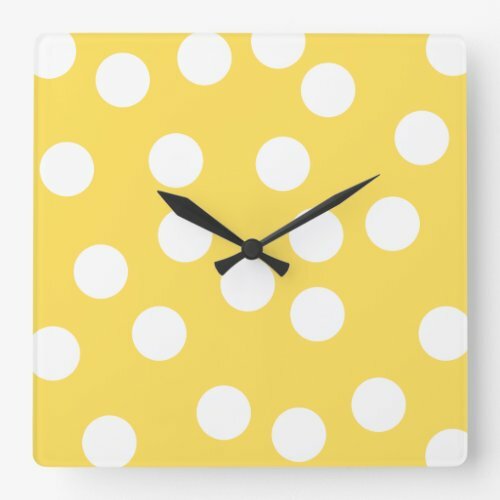 Polka dots rock and if you don't believe me then just scroll down to see how great these polka dot clocks look. Polka dots have been around for over a century and still we find new ways to incorporate them into our life. 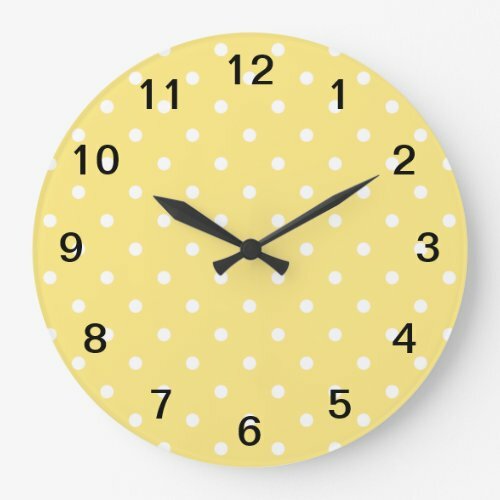 I love polka dots, but if you use too many of them in your home it can get too busy - using a clock with the design is a great way of adding your 'dotty' personality without going overboard in your room. 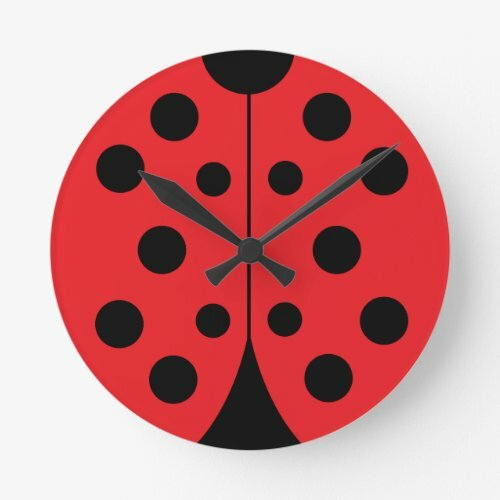 This red and black ladybug clock opposite is a great looking polka dot clock, it's probably one of my favorites because the ladybug is Mother Nature's own contribution to polka dotting our world, are you ready to make your own contribution? 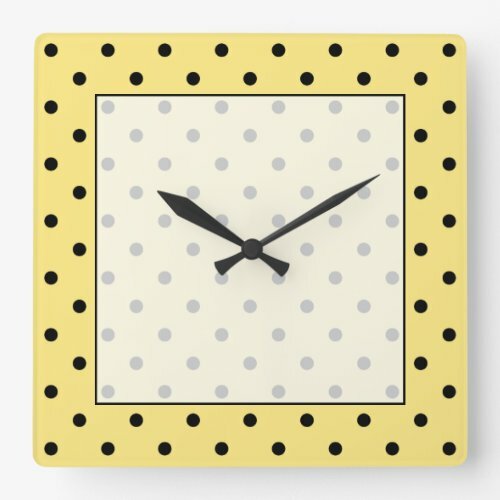 Let's go shopping for polka dot clocks! 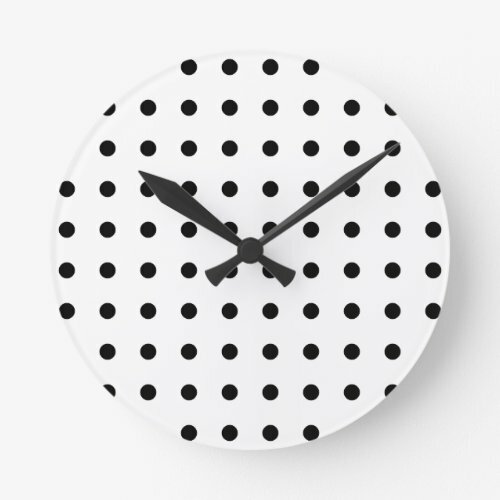 Black and white are what I think of as a classic polka dot combination and these clocks really add a touch of retro 1950s style to the room where you hang them. Although polka dots had been around since the industrial revolution in the mid 1800s it was during the 1950s that the pattern totally boomed which is why the black and white polka dots always says 1950s to me. Having said that this design makes me think of the fifties, some of these clocks have a modern flair that beautifull combines a retro and a modern feel to the clocks. 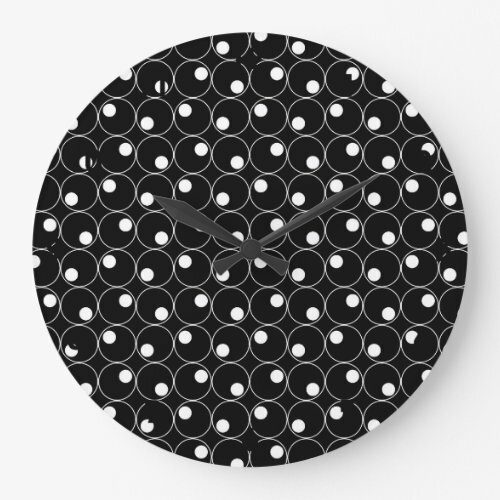 Looking for a black and white clock? Look no further than the selection above, if you’re after polka dots in a different color however keep scrolling down the page. 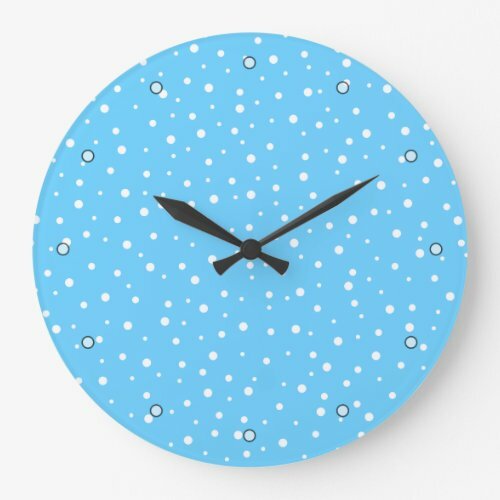 I always think that red and white is a cheery color combination and these red and white polka dot clocks make me think of a cool country kitchen themed decor, especially the heart patterned one. When it comes to red polka dots however I have to confess to preferring red and black to red and white – I love ladybugs you see so the red and black polka dot look brings a smile to my face every time! 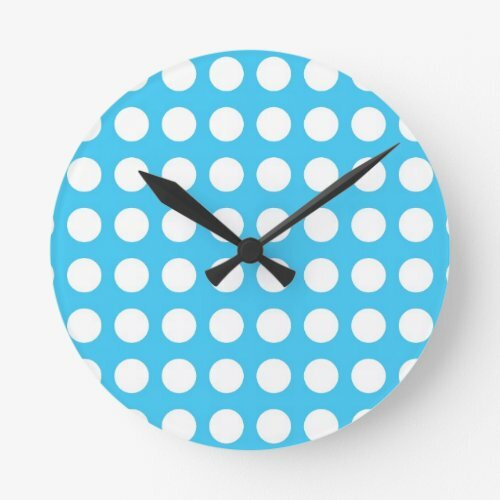 If your design palate is blue then that’s okay as there’s plenty of blue polka dot designs available on these cool clocks from Zazzle. I can’t decide whether the slice of cake or the coffee and chocolate clock is my favorite pick for a blue themed kitchen – what do you think? I must admit I’m not a great fan of yellow polka dots, but they do look cool if you have the right color scheme. 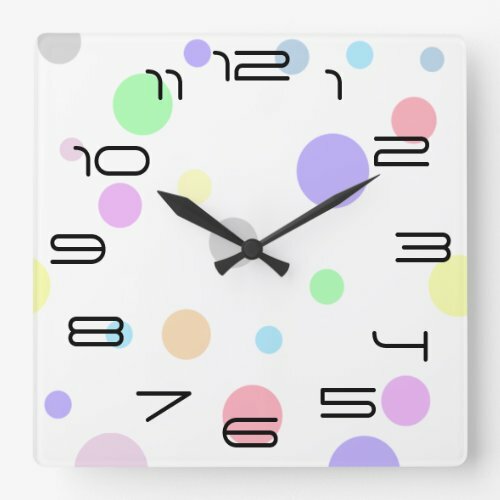 There are so many different shades of green available and looking at these polka dot clocks you can see that every shade of green suits the polka dot look wonderfully. I actually used to have a green and white polka dot designed picnic blanket that was gorgeous and consequently makes me associate green and white polka dots with food. Suffice to say I’m going to recommend these clocks as kitchen clocks! There are so many different colors that are used in polka dot designs including multi-colored polka dots. This makes it so hard to know what colors to include in this collection of clocks that I've compiled for you. 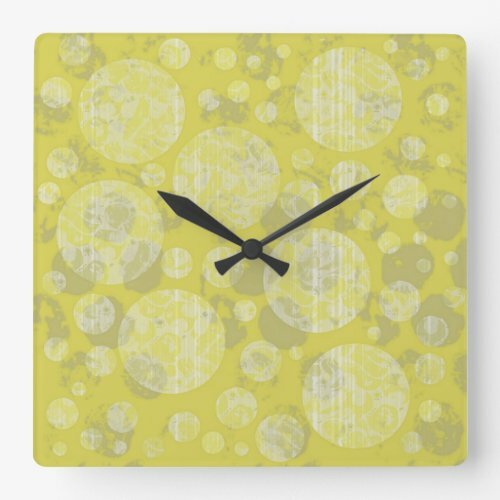 Here are a few for those of you who like square shaped clocks - and I must say I do like the contrast of the square of the clock and the round of the polka dot pattern. 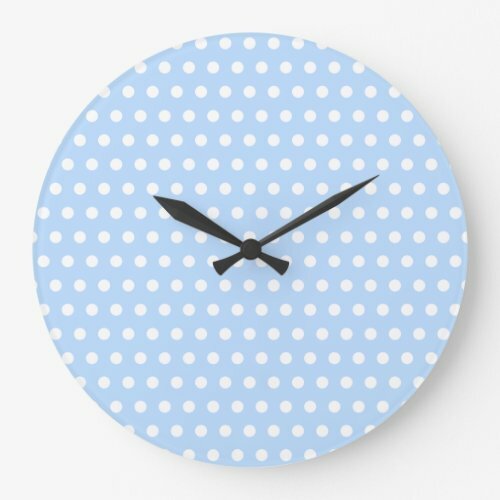 If you prefer your clock to be round here’s a few more polka dot clocks for you to choose from. I have a slight addiction to home improvement and home decorating shows. Combine this with 'discovering' Pinterest and I find myself literally full of ideas that I want to share. Follow me on my blog and let's turn your house into a home that reflects your personality. Now for the legal stuff - under FTC regulations I need to let you know that if you buy anything through clicking on any of the links on this page I may receive a commission.